This is my second favourite flavour from this brand. It is a bit more bitter that the Orange one, but still sweet enough. It's also drier than the Orange bar, so it is good for when I am craving something not too oily. Like the Orange, I buy the 18-count box frequently, and would really love to be able to buy even bigger quantities with bulk discounts. 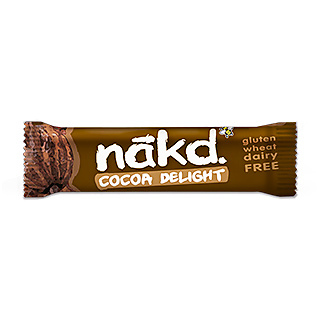 I love it because it is a healthy replacement for chocolate bars (which are full of refined sugar and processed, chemical products). I can't get enough of this bar!